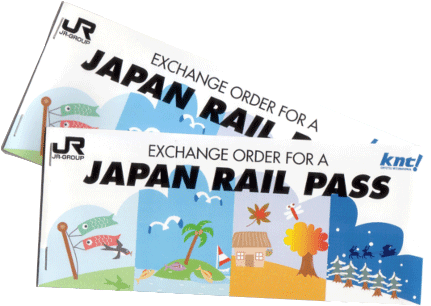 The JR Pass can be exchanged at major JR train stations and airports. 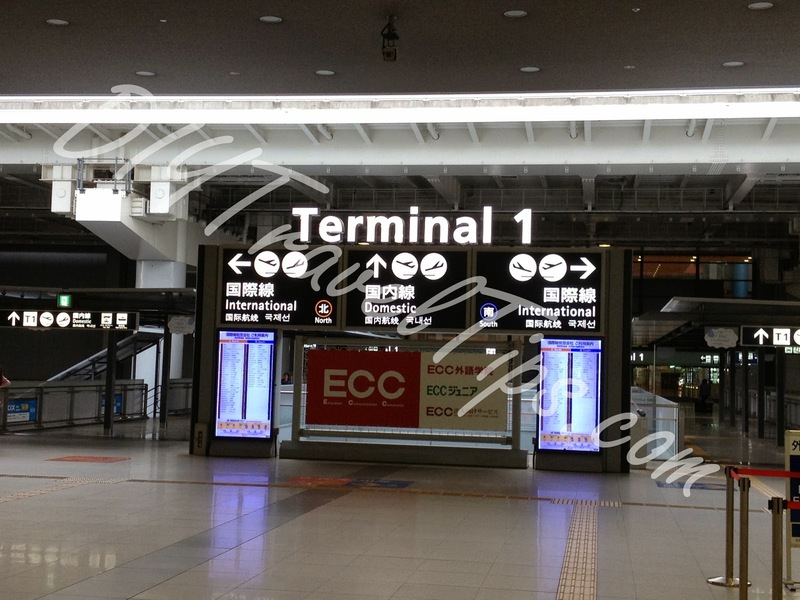 In this post, I will share my experience in making the exchange at Kansai International Airport. 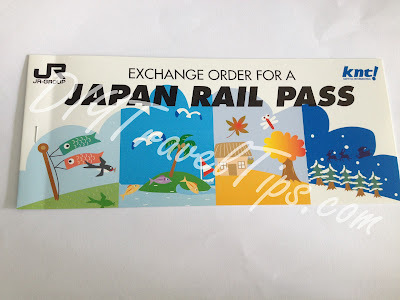 For more in depth discussion on the JR Pass, please refer to my other posts "When and How to purchase the Japan Rail (JR) Pass" and "Tips on making full use of the JR Pass". The KIX Airport has 4 floors. International arrivals should exit to the lowest floor of the airport. The Tourist Information Counter is to the left of where you exit so you may want to grab some information brochures and maps first. The JR counter and train station is very near the airport at level 2. Go up to second floor and exit through the doors on the right. You should immediately come to a walkway like below. The red square is the name of the Kansai Airport train station (関西空港駅). Walk towards the yellow square highlighted in the picture above. It is the back of a big signboard which looks below when seen from the front. 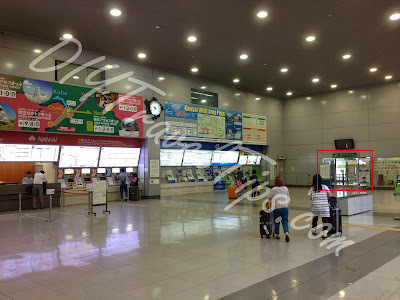 When you reach the big sign board, you should see the ticketing machines on the left like below. Look to the far end in red highlighted box above and you should see the JR ticketing office. The close up shot below. Enter into the office and queue up to exchange for your JR Pass. The counter staff should understand basic English, if not you can just show your exchange order and they will know what to do. Your exchange order should look like this. You will then be asked to fill up a form which includes the date that you want to activate the pass. Tip: You can put a different activation date for the JR Pass and do not need to be on the day that you exchange for the pass. If you have activated the JR Pass, you can also make your first reservation at the counter. 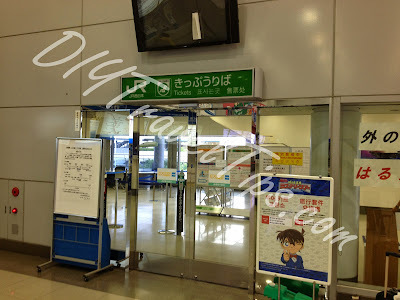 I recommend that you write down the train station names (departing and arrival) on a piece of paper and show it to the JR counter staff for faster processing. If you have the names in Japanese, all the better. The JR trains have specific train departure times at each station so if you already know which specific train you want, write it down together to speed up the process. 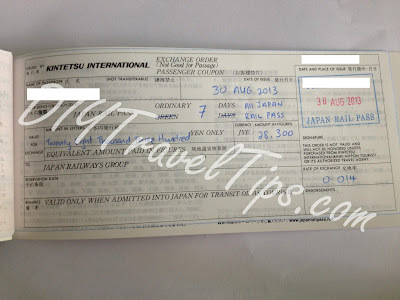 Below is a sample of a reserved ticket. 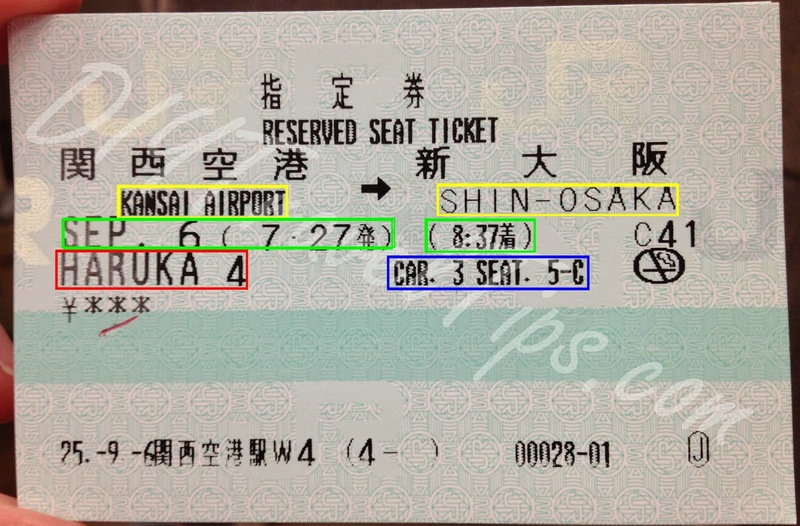 The yellow box is the departure and arrival station names. The green box shows the date and departure and arrival times. The red box is the name of the train. The blue box gives the reserved car (i.e. carriage or train section) and seat information. And as usual, here's the disclaimer. I was wondering though if we would be able to reserve a ticket even though we haven't activated our JR Pass yet. 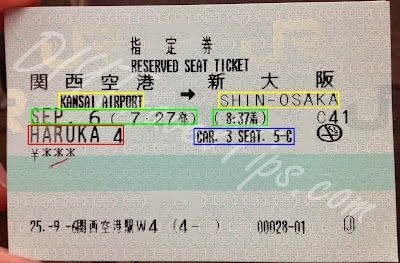 For example, we would be arriving in KIX on March 17 but would like to activated our 7 day JR Pass on March 20. However, we would like to be able to reserve early for a sleeper train on March 24. Would you know if they would allow it as technically March 24 would be covered in our JR Pass? Apologies I missed your question. Looks like you should already went to Japan. 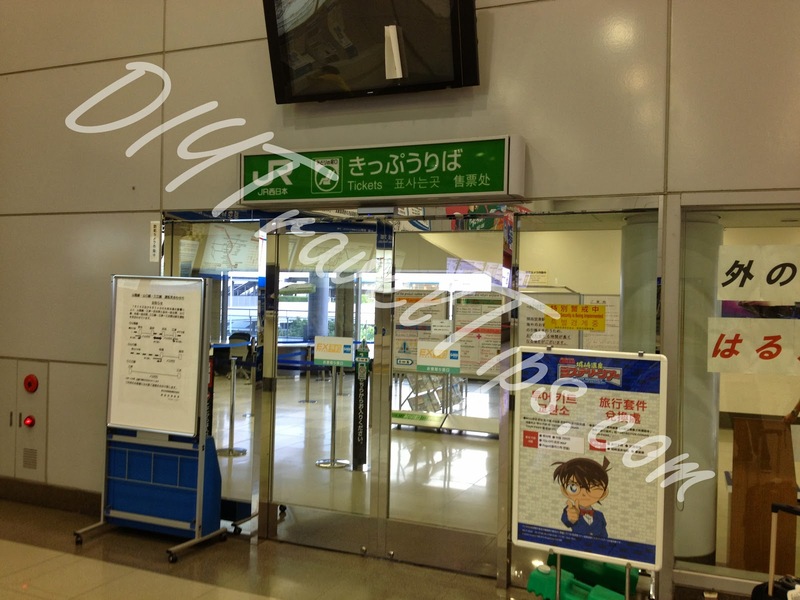 Because you will need to show your JR pass to the ticketing counter. It will need to be stamped with the start date or they probably will not entertain you. That said, you should be able to reserve your seat unless it is a very popular ride. Thank you for sharing! It's very detail and really help a lot to ease my mind for my upcoming trip to Japan. Found this article and very useful! fantastic description....Just going to Kyoto day after tpmmprrow and was wondering if i can get somehow this info...Thank you soooooo very much. Very well done article. Thank you so much for posting this. Hi, It is all the JR train can be use? 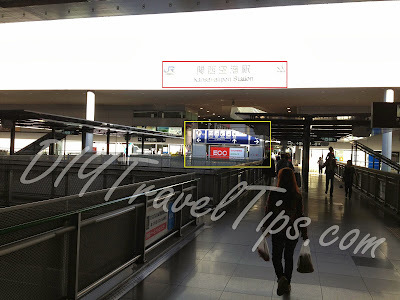 I arrive on KIX and plan to go Takayama first. So how do I know which train should I use? Hi, it really depends on your whole itinerary, will you be travelling to other areas as well? You may want to compare by checking individual ticket prices and see if its more worthwhile compared to buying the pass.